I started setting up and working on aere in June 2014 last year, and I can't believe that it has been one year. So many exciting things has happened and of course there are many challenges as well. But, I am truly grateful by all the support that I have from my readers in the blog, on my Instagram, dearest customers, aere's partners and stockists, my team and of course family and friends. It has really been amazing. ALHAMDULILLAH. All praises to the Creator for blessing me with all the blessings. 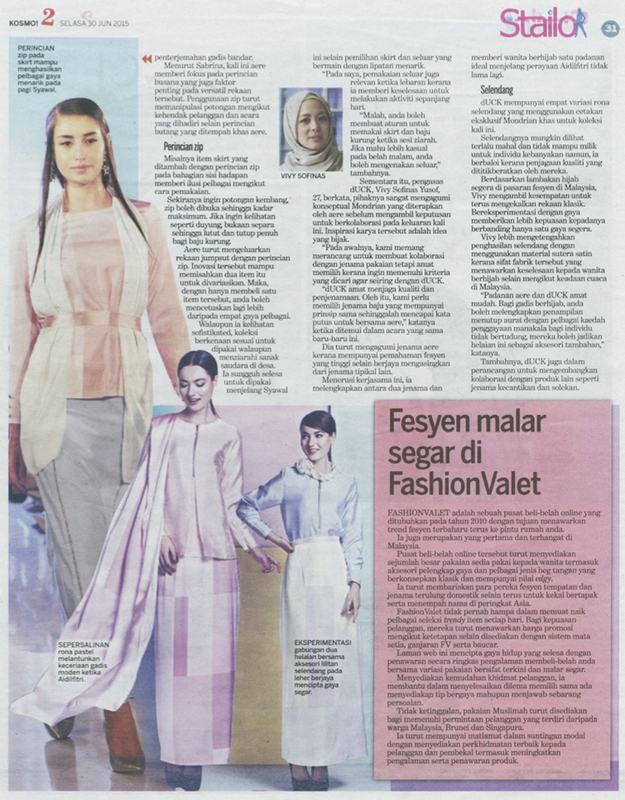 The reporters from Kosmo were some of the interviewers who were there interviewing me and Vivy Yusof after the after aere's fashion show at the Gaya Koleksi Raya 2015 and I love the writeup by the. It's so accurate and close to everything that we answered on that day. If you want to read or see a video of the fashion show just go to : aere Fashion Show 2015 : Part 1, aere Fashion Show Part 2 : Full Video, and White Shine. 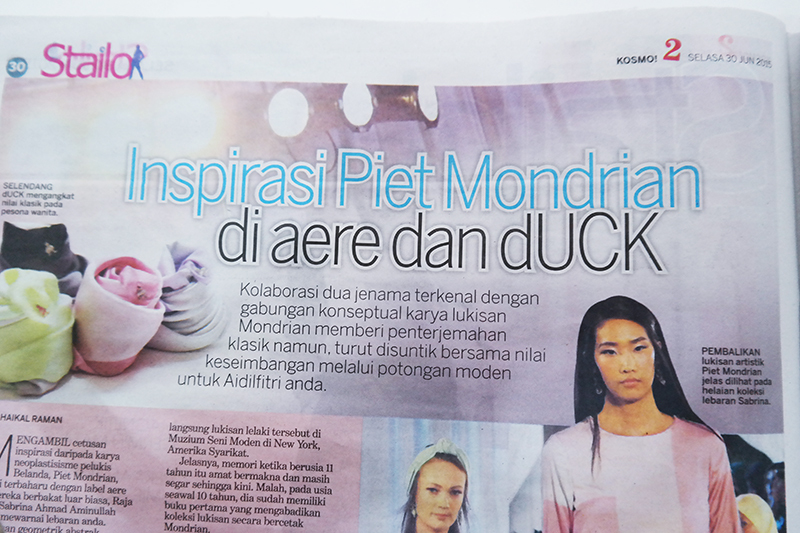 I was so surprised that they put a photo of me wearing a full look wearing pieces from the current aere x dUCk collection on the cover of their Stailo inserts too. Thank you Kosmo! for the cover story on aere x dUCk :) It's a photo the husband kneok took of me as posted in my blog last week Not Everything is Black or White. I took some photos and scanned it for my own records as well as for you to read if you didn't manage to get a copy. 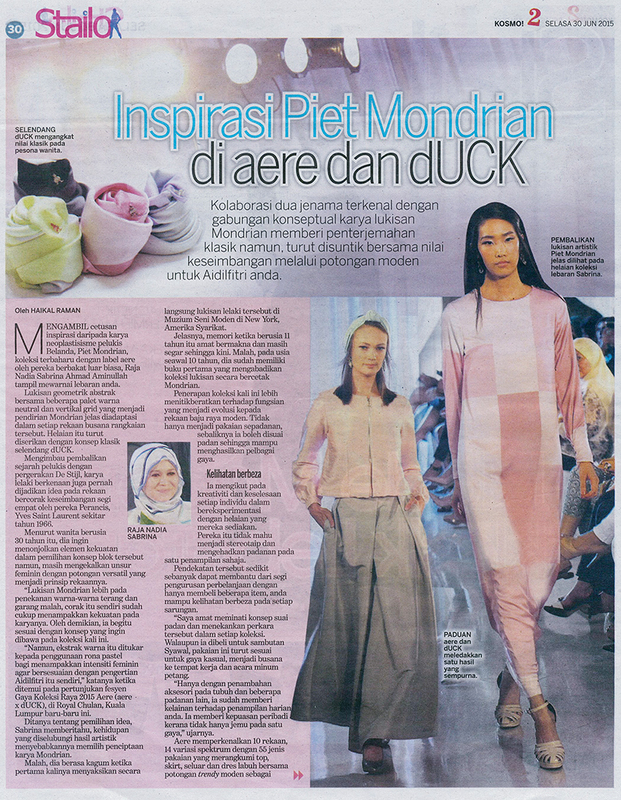 You can also read the one online at Inspirasi Piet Mondrian di aere dan dUCk at Kosmo! Online.